Right now new TopCashback members can enjoy a FREE $10 to spend at World Market from TopCashback! Make any purchase of $10 or more on WorldMarket.com and your $10 TopCashBack rebate will post to your account within 14 days. 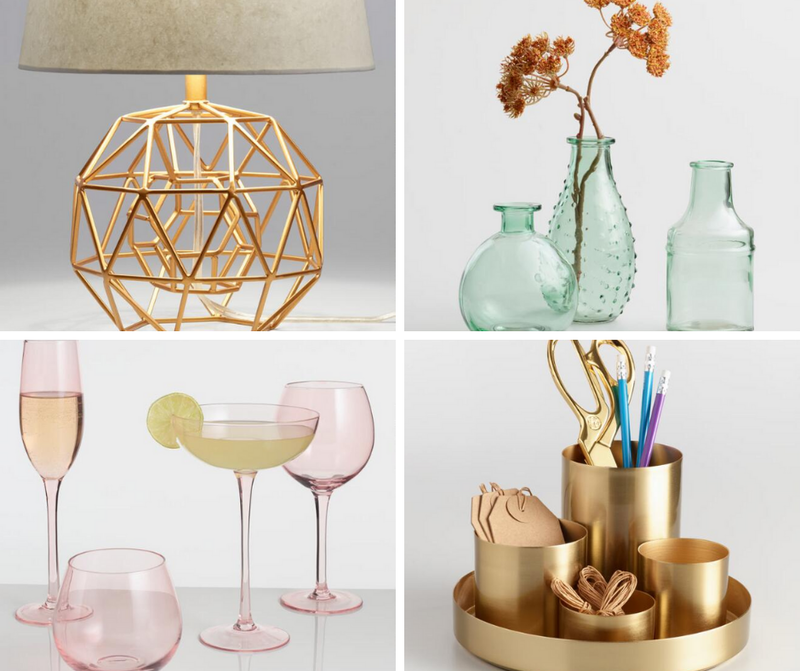 For a limited time, World Market is having a major sale – 20% off outdoor, up to 40% off tabletop, free shipping on Easter items, and more. And of course, World Market has something for everyone. 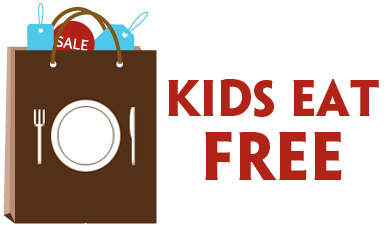 Take advantage of free in-store pick up as well! Note: Transactions must contain at least $10.00 worth of purchases to ensure the $10.00 cash back is credited to TopCashback accounts. Transactions may initially track lower, but within the 14 days after purchase it will be uplifted and turn payable at the amount of $10.00. Transactions may take up to 04/15/2019 or until supplies run out; whichever happens first; applicable for purchases made directly after clicking through TopCashback. Only one TopCashback account is permitted per member. Cannot be combined with other TopCashback freebie offers. 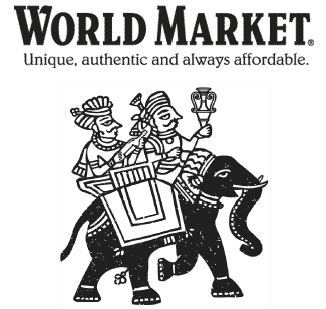 Right now you can save $10 off your $50 World Market purchase! 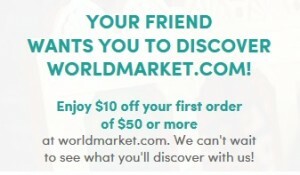 Visit WorldMarket.com and check out your unique code – and refer a friend too! Right now you can save 10% off your total purchase at Cost Plus World Market! Just use coupon code SAVEBIG10 during checkout. You can use this code online or the printable/in-store coupon can be used on furniture purchases (the huge furniture sale is still going on). Fine print: Coupon is not valid on alcoholic purchases, gift cards, eGift cards, CRAFT by World Market merchandise, delivery surcharges, and shipping fees. Use this $10/$30 World Market Purchase printable coupon to save on most items at World Market! 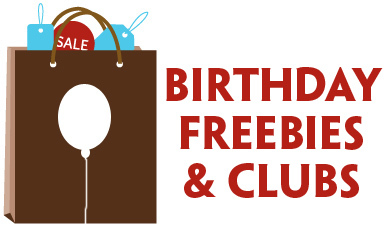 No discount on alcoholic beverages, gift cards, eGift Cards and kitchen electrics. Expires 5/18/11. One coupon per customer per day. Coupon must be surrendered at time of purchase. Cannot be combined with other offers and coupons. This is a hot printable coupon for World Market! Get $5 off any $15 World Market purchase through 6/6/10.